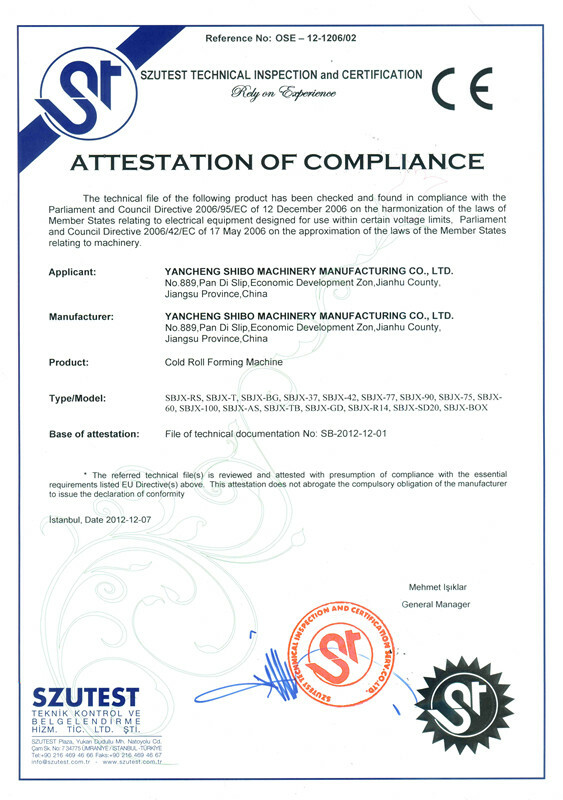 Company Overview - Yancheng Shibo Machinery Manufacturing Co., Ltd.
10YRSYancheng Shibo Machinery Manufacturing Co., Ltd. 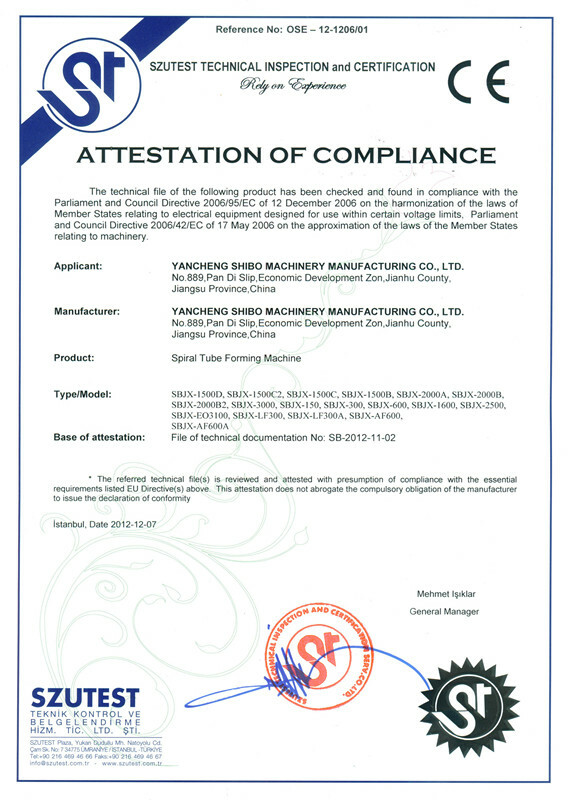 Established in 2005, Yancheng Shibo Machinery Manufacturing Co., Ltd. is a professional manufacturer and exporter that is concerned with the design, development and production of spiral duct forming machine and Pittsburgh lock former. We are located in Yancheng, with convenient transportation access. All of our products comply with international quality standards and are greatly appreciated in a variety of different markets throughout the world.Covering an area of 10,000 square meters, we now have over 300 employees, with an annual sales figure that exceeds USD10 million. We are currently exporting 30% of our products worldwide. Our well-equipped facilities and excellent quality control throughout all stages of production enable us to guarantee total customer satisfaction. 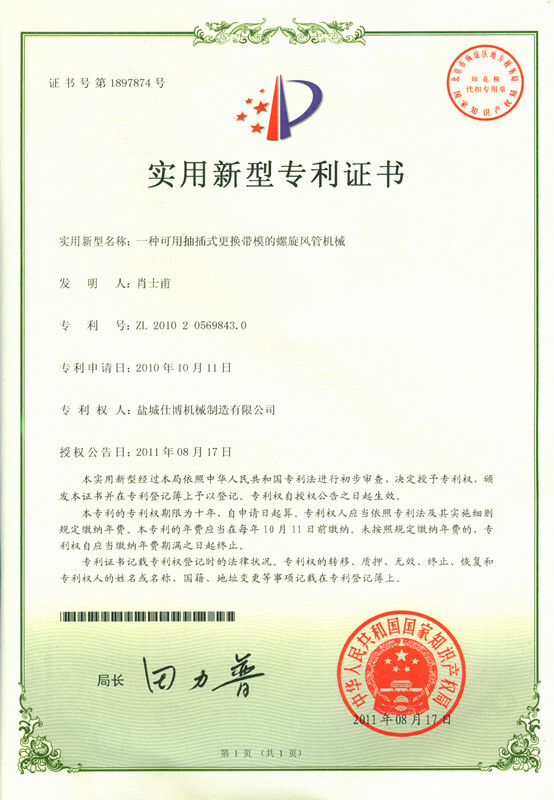 Besides, we have received IS09001:2000 and CE certificates. As a result of our high quality products and outstanding customer service, we have gained a global sales network reaching Europe and Asia. If you are interested in any of our products or would like to discuss a custom order, please feel free to contact us. We are looking forward to forming successful business relationships with new clients around the world in the near future.